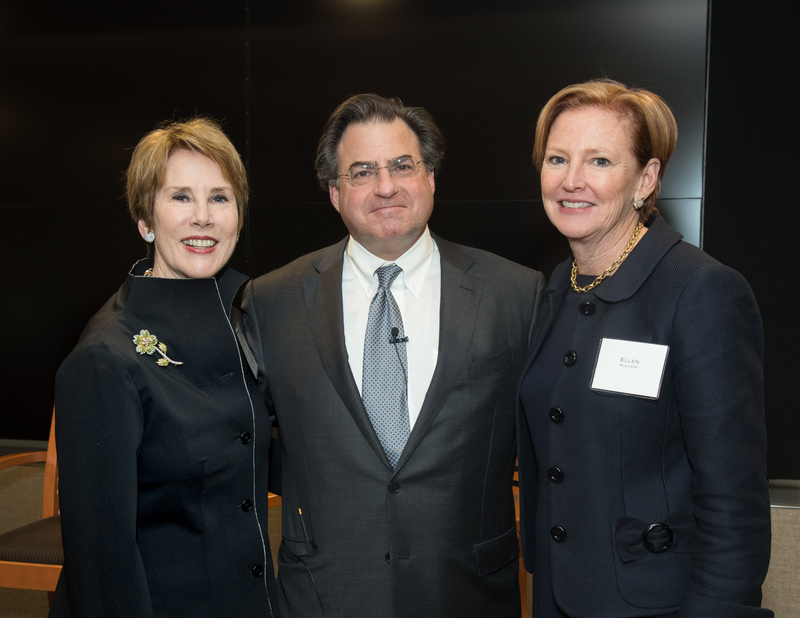 Author and activist Gloria Steinem and former DuPont CEO Ellen Kullman were among the speakers at the Evercore Wealth Management April 19 Wise Women event, How Can Women Leverage Their Personal, Professional and Financial Capital To Create Lasting Change? Transformational Leadership: Evercore Chairman John Weinberg interviewed Ellen Kullman on her career progression from engineering school to GE to the leadership of DuPont. She stressed the benefits of a non-traditional career path and importance of self-awareness as a leadership quality, noting that she set career goals in three-to-five-year timeframes, to adjust for changing interests. She is currently the co-chair of the nonprofit Paradigm for Parity, which she founded to help corporations level the playing field for women. Aligning Your Investments with Your Values: Creating impact with personal assets through a growing interest in environmental, social and governance (ESG) and socially responsible investing (SRI), improving data to evaluate portfolio returns, and investing in women-owned companies, were topics addressed by Tracy Chadwell, Founder of 1843 Capital, and Liz Michaels, Director of ESG/SRI at Aperio Group, in an interview with Evercore Wealth Management Financial Advisor Jill Faherty Lloyd. The Power of Impact Philanthropy: This wide-ranging conversation included suggestions on defining a mission, leveraging charitable giving, and measuring impact. Led by Betty Hudson, former Chief Communications Officer at National Geographic, who interviewed Michelle Clayman of the Michelle R. Clayman Institute for Gender Research at Stanford University, and Karen Francois, Partner and Wealth & Fiduciary Advisor at Evercore Wealth Management and Chief Fiduciary Officer of Evercore Trust Company, N.A. Reinventing Yourself: What’s next? The traditional paths to education, work and retirement are shifting due to longer lifespans. Changing careers and applying transferrable skills to other interests, including philanthropy, was the focus when Virginia Hill Worden, Founder of EL Education and former President of Randolph-Macon Woman’s College, interviewed Katie Hood, CEO of One Love Foundation and the former CEO of the Michael J. Fox Foundation, and Jewelle Bickford, Partner and Financial Advisor, Evercore Wealth Management. Social and Personal Disruption: Gloria Steinem was interviewed by financial journalist Stacey Tisdale on women’s economic and political power, inspired by #metoo and Time’s Up. Also discussed was the potential stimulus of equal pay, as well as the challenges and opportunities afforded by longer lifespans. For further information on the Wise Women educational program and other events at Evercore Wealth Management, please contact Jewelle Bickford at jewelle.bickford@evercore.com.